Curly Bird Express: The Winner Is!!!! Well, here we are, it Monday and I put all the names in a hat this morning for the big drawing!!! 23 people posted comments, thank you all so much for your interest and for taking time to stop by and post! Lake Michigan All Spun Up goes to....drum roll...WonderWhyGal!!! 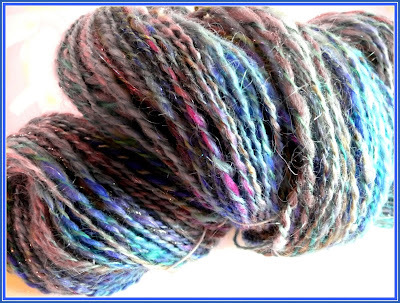 I'm really please to have my skein of yarn go to Andrea, it worked out "wonderfully" since she is so generous with hosting Fiber Friday and I have always really appreciated the nice comments she has made not only on my blog, but on all the Fiber Friday posts!!! Thanks WonderWhyGal and thank you to everyone who posted! I'll be sending off an email to you Andrea, as soon as I get your address, this happy little skein will be on it's way to a new home! Huge congratulations Andrea you lucky thing :) Really looking forward to seeing what you make with your special new yarn. Congrats to the winner! That is beautiful yarn. 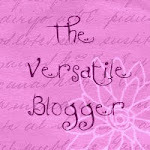 Congrats Andrea, Can hardly wait to see what you make with the beautiful yarn. Congrats Andrea!!! Have fun with it--sooooo beautiful!! Hooray! Oooooh! Now that I have the yardage...I think I may already have a project in mind. I absolutely love the colors and I always enjoy your spinning so I can't wait to get the goodies in my hand. 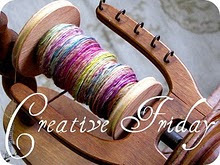 Thank you for being a part of Fiber Arts Friday! One day soon...we shall meet in person and spin together.